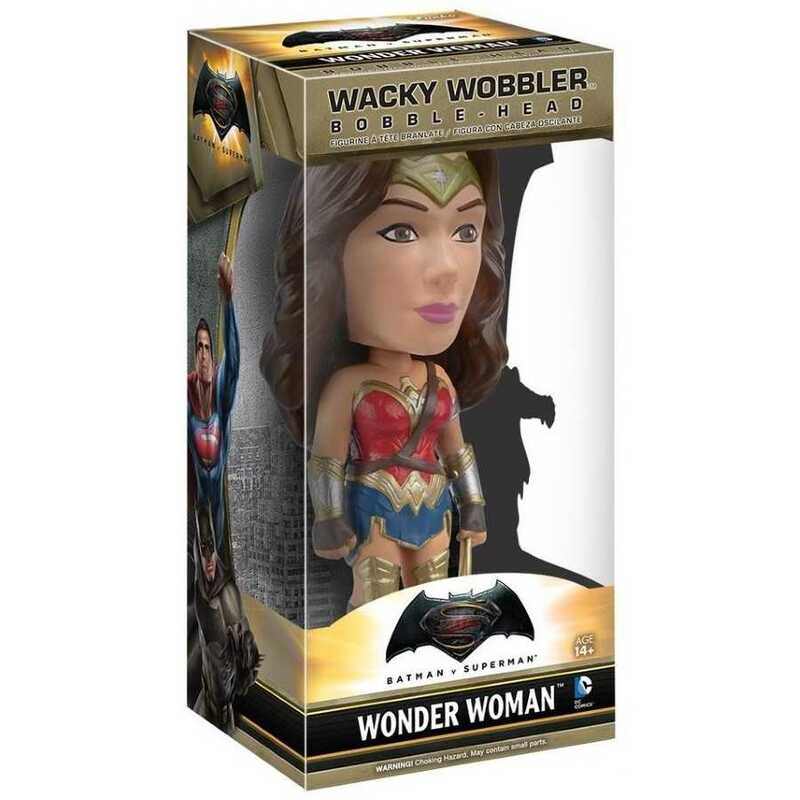 Funko have now released their brand new range of Wacky Wobbler Head Knocker vinyl figures based on the new Star Wars Episode VII movie, The Force Awakens. 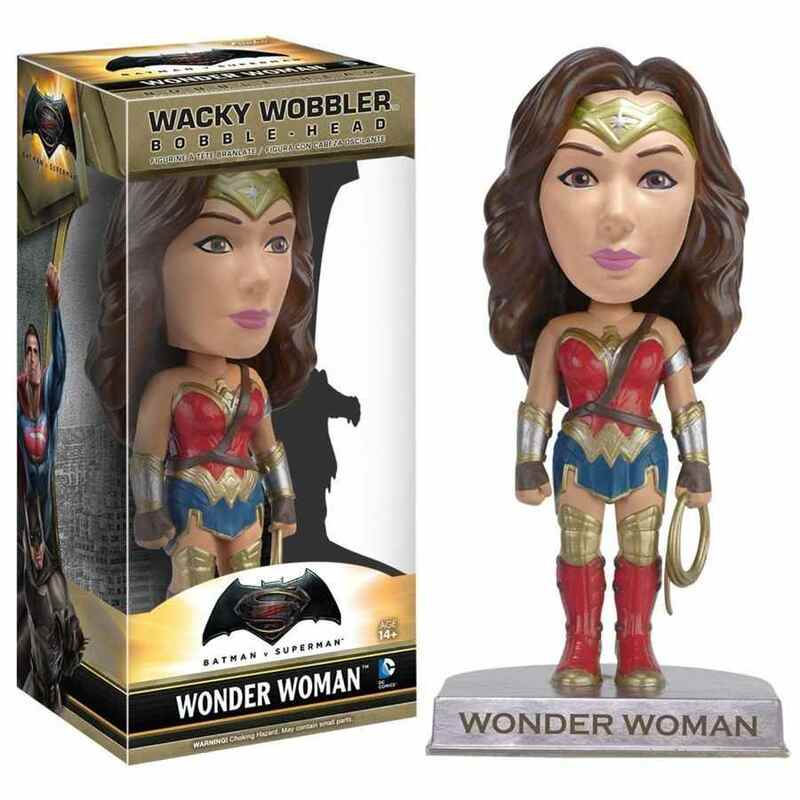 From Funkos range of Wacky Wobbler Bobble Head vinyl figures, we bring you Wonder Woman based on the character from the Batman v Superman film. These awesome figures are very detailed and collectible items. 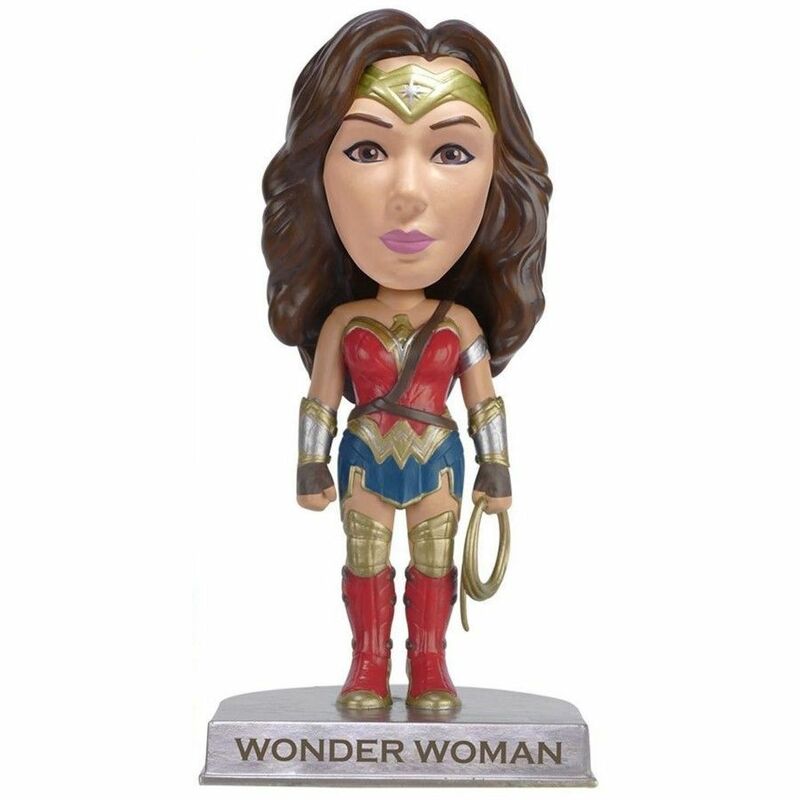 Wonder Woman stands at approximately 6" in height and comes packaged in a window style box with Batman VS Superman artwork.